Tatami mats are a beautiful and elegant way to decorate your home to introduce a natural and fresh look inside your living space. Consider the history of tatami mats–these ancient mats have been used in Japanese homes for over a thousand years and a staple in traditional and modern homes for its cooling effect, natural-feel, and most importantly–comfort. Below, is a short and comprehensive guide on for buying a tatami mat for your home. In addition, you will find the recommendations for the best tatami mats to buy, benefits of using a tatami mat, and a brief summary of the traditional Japanese tatami mattress. A tatami mat is traditional flooring used in Japanese style rooms. These Japanese mats were once regarded as a luxury item that was explicitly used for the nobility and seating high-ranking aristocrats. 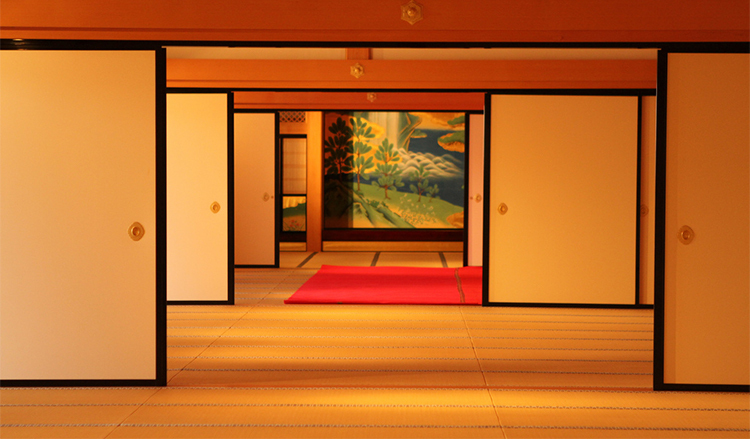 The tatami mat is essentially a type of flooring material that is used in traditional Japanese-style rooms. Once tatami mats reached into the homes of commoners, they became a staple item in every Japanese style room and became a symbol for home. 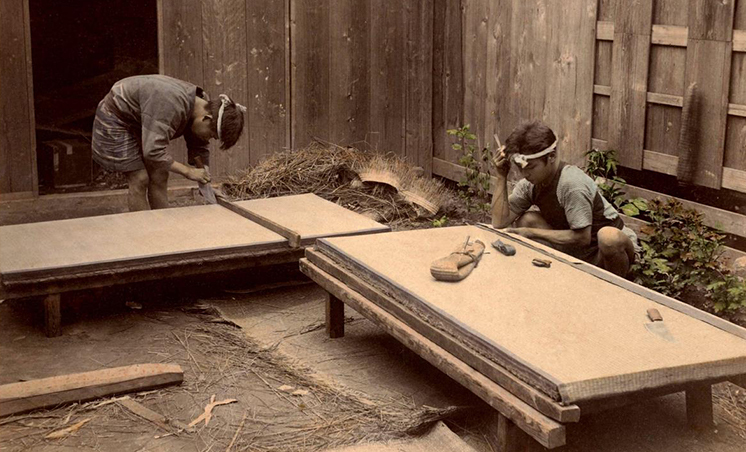 The practice of constructing a tatami mat involves using rice straw to form the core, woven rush grass as the covering around the core, and sometimes wood chip boards or polystyrene foam as the base. Tatami mattresses are constructed in standard sizes with the length always twice the size of the width. Tatami mats serve as a warm look at the rich history of traditional Japanese interior room aesthetics and is a beautiful item to have in your modern home to serve a multitude of purposes. Tatami mats are most notably used as a type of flooring in homes and inns–a tradition that has existed since the Edo period (1603–1868) in Japan. Ryokans, a traditional Japanese inn that served travelers that traveled on roads and highways, features tatami mat rooms that lead into a small entranceway where guests can take off their shoes before stepping onto the tatami floor. Guest rooms at a ryokan are designed with traditional Japanese methods: tatami flooring, sliding doors, a porch or balcony, and a futon spread out as bedding. The pattern of tatami has a distinct woven design, respectfully because of the way the mat is constructed. While the texture of a tatami mat feels a bit hard on the surface but once stepped on, the cushion of the mat is soft and delicate. Tatami mats are commonly used for sleeping on the floor. Sleeping on tatami mats is a common method in traditional Japanese homes and many people simply sleep on the bare tatami floor since they provide sufficient comfort and padding. The benefits of sleeping on the floor are astounding, as it is a healthy way to rest your back and a natural way to get restful sleep. The dining and bedroom area are covered with tatami flooring to provide comfort for dining, drinking tea, and sleeping. Since tatami mats are made naturally from organic materials and constructed with care, they are the perfect type of flooring that provides optimal comfort for sleeping and daily activities. Japanese style beds are becoming a popular alternative to Western-style beds because of their minimal style, thin padding, and lightweight size. The Japanese tatami bed, also known as a futon floor bed, provides a firmer and harder surface but can be layered with multiple blankets. An essential benefit of sleeping on a tatami mattress with a shikibuton is that it provides a firm surface for your back. Sleeping on a firm surface is noted to be a potential therapy for reducing back pain and realigning your body’s natural posture. The popular arrangement of a Japanese bed is: Tatami mats are at the bottom, a thin foam pad as an extra layer, and a Japanese futon (shikibuton). A firm pillow such as a tatami pillow can be paired with this set up to complete the full Japanese bed setup. 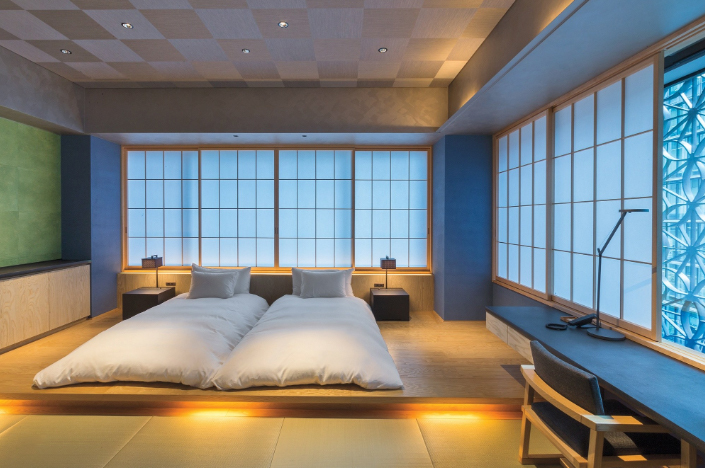 Tatami beds, also known as a Japanese platform bed, combines a low-profile wooden bed frame layered with tatami straw mats and topped with a Japanese futon mattress. There’s a certain quality in the organic texture and visually-appealing natural look of tatami floor mats that make them the perfect place setting for any home. In modern homes, tatami mat flooring and tatami designed flooring is a common trend in homes that prefer a minimalist home design or adopt the concept of Japanese interior design. The tatami floor mat may be used your home for many different purposes other than as a floor covering or tatami sleeping mat. Tatami mats can be used as a dining room floor mat, a kitchen and bathroom floor mat, or as a centerpiece decoration in a living room. When looking to buy a tatami mat online, look for authentic and traditional tatami mats that come in various sizes and are processed and manufactured under safe guidelines. 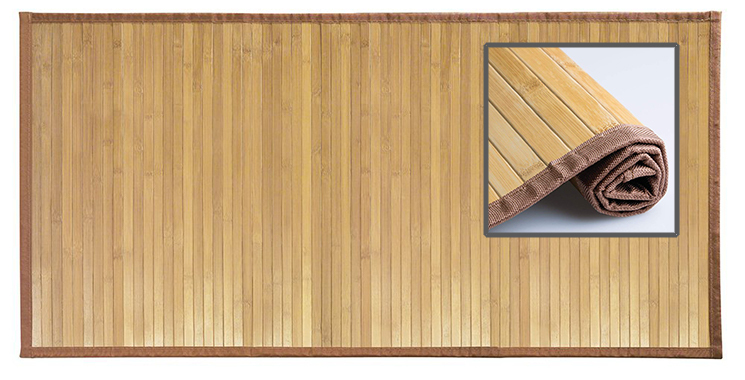 Many retailers offer large size tatami mats used for floor covering at a premium price. Cheap tatami mats can be found if you’re looking for a smaller size tatami mat for your home. Many modern homes use cheap tatami mats that provide the traditional aesthetic of traditional tatami mats as floor mats, sleeping mats, and tatami mat beds. Below are reviews of modern tatami mats that offer tatami mats in sizes such as folding (used for meditation, yoga, table mats) and larger sizes that are used for covering a bedroom with tatami mat flooring. Decorating your home with a tatami mat is a natural way to introduce a fresh new look into your home. 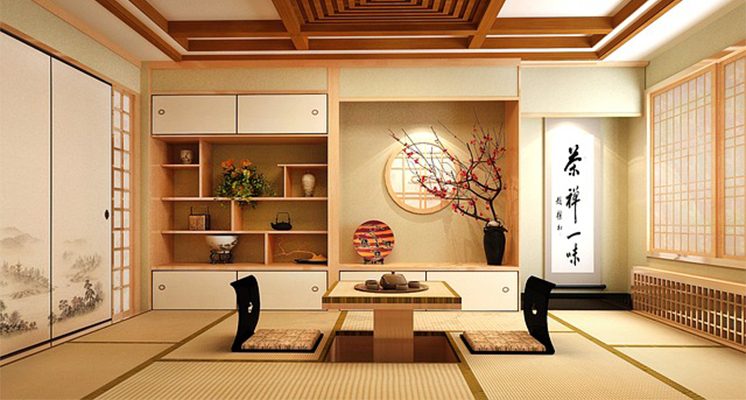 Tatami is often used in a living room, kitchen, and bedroom. 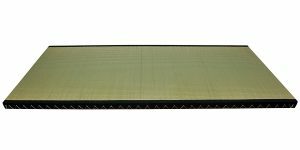 As a company from Japan that started in 1886 as a small shop, IKEHIKO is now a full-fledged, grown company that distributes beautiful and traditional tatami mats. Comes in size 39 x 83 x 0.5 in and made from 100% rush grass grown from Japan. IKEHIKO Japanese tatami mats offer the quality, effortless comfort of tatami while maintaining the traditional, luxurious feel of an authentic tatami mattress. This a tatami mat by Oriental Furniture features a full-size tatami platform that serves as a perfect foundation for a futon or mattress. Comes in 5 different sizes to fit your preference of a Japanese bed platform. The full (floor size) tatami mat size is 36″ x 72″ in. This tatami mat size has the potential to be used as a tatami mat bed. 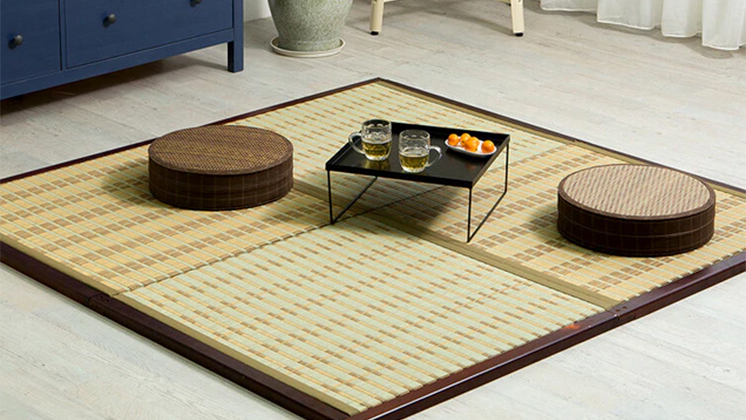 The Oriental furniture tatami mat is simply a great tatami platform at a great price. A classic Japanese design that shares the substantial, high-value construction and proven durability of an authentic tatami mat. This Fuli Japan tatami mat features a 100% rush grass material mat that can be folded as three. Tatami mat size is 39″ x 83 ” in and provides maximum comfort. Comes in two different colors to choose from. 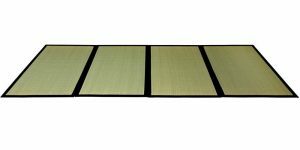 This Fuli Japan tatami mat features a 100% rush grass material mat that can be folded as three. 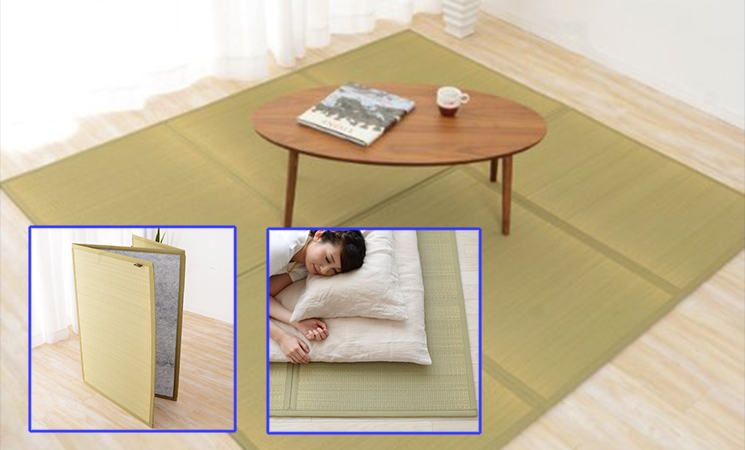 Tatami mat size is 39″ x 83″ and provides maximum comfort. Perfect for laying out in the summer as the best cooling mat or rug on a hot summer day. 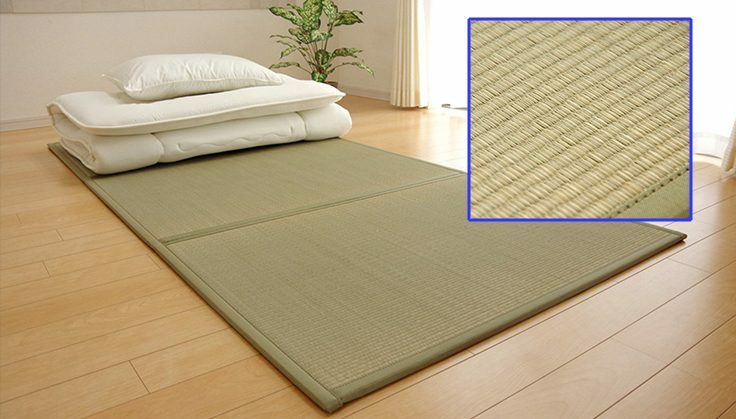 This Emoor tatami mat is 100% rush grass made and is perfect as a floor mat or as a futon bed. Beautifully designed and constructed with durability to be used as an oriental rug on the floor and as an underlying mattress for Japanese traditional futons. EMOOR traditional tatami mat offers a classic 100% rush grass-made tatami platform that’s traditional and unique. A classic mat to add in any bedroom, dining area, and living room. Traditional tatami mats are made of Japanese rush grass and rice straw fill. They go through a process of sterilization that is required to export to the USA, which makes them safe to use. They are the perfect Japanese style flooring as they provide a firm and comfortable platform to walk on and a soft and pleasant platform to sleep on. Tatami mats are a natural foundation for a Japanese futon or mattress. The natural pattern and grass-like scent of the mats prove to be great for flooring hallways, entrances, and as doormats. Perfect asa moisture barrier that are perfect flooring mats for dining areas, tea rooms, martial arts dojo, office spaces, and yoga studios. Complements a yoga studio or quiet place very well by inducing a Zen-inspired quality. In modern homes — they look beautiful and have a zen-like quality to them and are perfect in the bedroom as flooring or rugs, kitchen and bathroom areas, and living room. Bamboo floor mats are a great alternative to the grass-woven tatami version, as they have a similar aesthetic to tatami mats and are excellent floor mats. Bamboo mats are natural and they add an earthy and modern look to any room. Plus, bamboo doesn’t give off an earthy, grass-smell like some tatami mats do. The bamboo floor mats are firm, eco-friendly, and have a non-slip quality to them and make the perfect tatami mat alternative. Perfect for — Kitchen areas, bathrooms, living rooms, bedrooms, and as doormats. In modern homes — They are the perfect floor mats because of their non-slip quality and modern decor look. Durable and designed to protect expensive tiles. 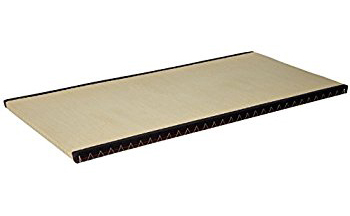 I recommend the InterDesign Bamboo Floor Mat (Ideal Mat for Kitchens, Bathrooms or Offices) that captures a modern and elegant design of a traditional Japanese floor mat. Crafted with highly renewable bamboo, and features a slip-resistant design that is ideal for your bedroom, kitchen, and home. The tatami mat size typically comes in 4 different mat sizes. However, more sizes are available for different occasions and use. The size of a tatami mat will vary depending on what you use it for. Which Tatami Mat Size to Buy? The folding tatami mat is great for smaller, compact spaces and for individual activities. The folding tatami mat is great for sleeping on the floor, layering with a shikibuton, yoga meditation, relaxing, and vacation mats. The folding tatami floor mat features a portable folding style that makes it perfect for traveling, on-the-spot naps, and any situation that requires convenience. Pair this folding tatami floor mat with a Japanese futon mattress futon pillow for the most comfortable nap! The half size tatami mat is ideal for compact spaces and great for complementing a room floor with more tatami mats. This tatami mat has a sturdy and comfortable foundation that is great for designing your meditation spot. Design your meditation space with this tatami mat. Use it as a meditation pad or a spot for tea ceremonies and dining. Also works for being the foundation for a Japanese mattress and shikibuton. The standard size tatami mat is ideal for being the base of a Japanese futon and full-size mattresses. Typically used as a layer in a tatami bed. Assemble multiple standard size tatami mats to create a traditional tatami flooring for your room. Use the tatami mat flooring for your meditation room, tatami bed, yoga studio, martial arts studio, and sacred space. 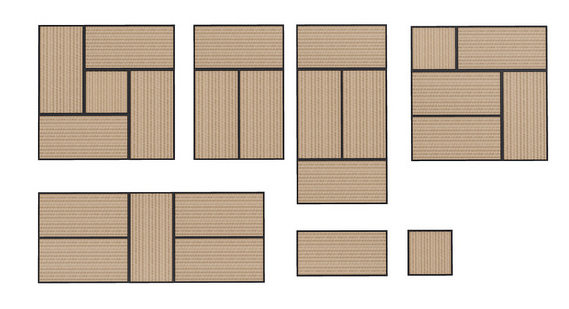 The king size tatami mat is typically used for designing and layout for traditional tatami floors. The king size tatami mat is also used as a base for a king size Japanese futon mattress and Japanese platform bed. Use this king-size tatami mat for your sacred space or meditation studio. They create a zen-like experience and have a beautiful aesthetic of traditional decor. 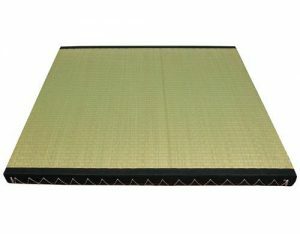 What are the benefits of using Tatami mats? Tatami mats are perfect for providing clean air to your living space. Tatami mats are great for keeping a balanced level of moisture in the room by steadily absorbing or dissipating moisture when there are periods of high or low humidity. Tatami floor mats are regularly used as sleeping mats for the floor. Sleeping on the floor has proven to have health benefits such as being better for your posture, reducing back pain, and promoting a better night’s rest. 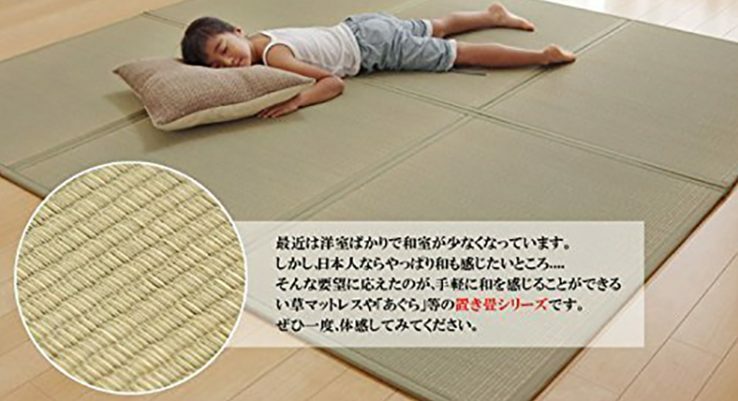 The firm cushioning of a tatami mat has enough comfort and stability to use to sleep on the floor. Transform your living space or studio into a zen and peaceful space with tatami. Many yoga studios and dojos use tatami flooring to create a sense of calmness and harmony. Grass woven rush is soft, flexible, and durable enough to walk on while barefoot. Take a chance to walk on tatami and you’ll notice a settle elastically in your step! The rush grass construction provides a firm surface for durability while still being delicate to touch. Tatami can keep cool during the summertime with its moisture absorbing quality. Don’t settle for warm nights or flooring that make your skin feel damp and uncomfortable. Tatami mats are designed with a strong wooden base and intertwined with tightly woven rush grass. Tatami can last you for a while if it is well maintained and cared for–like any other type of flooring. Typically, tatami flooring will last up to years of use due to their enduring nature and solid construction. Tatami mats will last up to 20 years with proper care and handling. 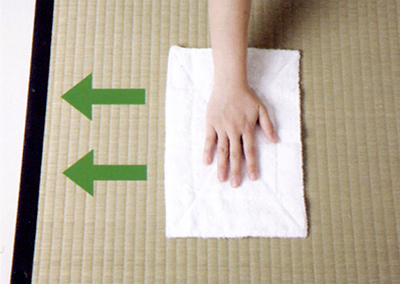 To clean tatami, simply use a vacuum, floor mop, or towels. Tatami mats can easily mold due to humidity, so a proper treatment of cleaning will allow you to avoid this problem. Be sure to clean your tatami mat often and you should always choose to clean the surface of a tatami mat with a dry cloth instead of a wet or damp cloth because tatami mats absorb moisture easily and mold will form. 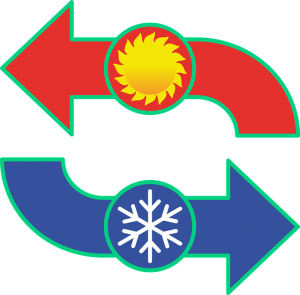 Most mats are made naturally and from all raw renewable materials so that they are environment-friendly. The USA has strict guidelines on importing these grass woven mats and manufacturers have to meet specific guidelines and requirements to make sure that your tatami is safe to use. If you are buying a tatami mat from an online retailer, be sure they have clear guidelines on using eco-friendly materials and meet US regulations on exporting these mats.